Born in Montana, raised in the Pacific North West, Dom moved to Alaska in 1993. Since then, he has been a professional fly-fishing guide for 10 years and now parades around as a restaurant owner of the Kingfisher Roadhouse in Cooper Landing, Alaska. Dom is an accomplished rider and BSer. He is great with people and knows and loves Alaska. Dom has been riding motorcycles for over 30 years. 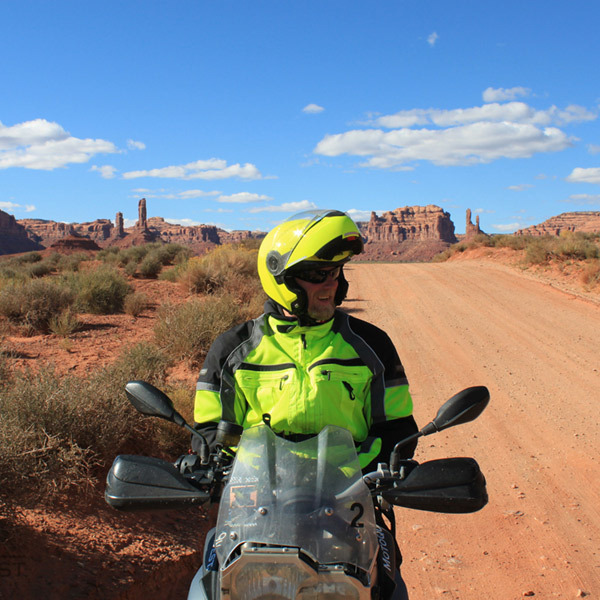 Destinations Traveled by Motorcycle: Alaska, Patagonia, Western United States, and Illinois.